Hotel Priya Residency is a homely multi-storey accommodation at Ranigunj Street just 5-minute walk from James Street Station. 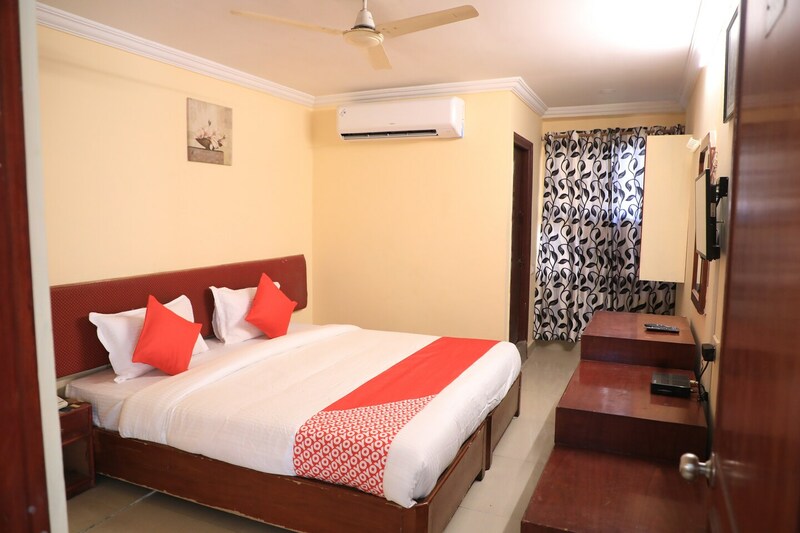 Tourist locations within 15 minutes drive are Flag Monument, Buddha Statue, Love Hyderabad Sculpture, NTR Garden, Pochamma Temple, and Jalavihar Water ParkThe rooms are decorated with sober pastel hues on the walls and have basic polished furniture. Each room is equipped with a TV, AC, and geyser. Other amenities offered by the hotel include free Wi-Fi, kitchen, parking facility, power backup, banquet hall, and elevator. Some popular eateries nearby include Wah Ji Wah, Popular Punjabi Paratha, Curry Pot, RK Tiffins, and Krupa.